David Parsigian is a nationally known venture capital and mergers and acquisitions lawyer with deep capabilities and broad experience in corporate, securities, and finance law. He places particular emphasis on representation of emerging technology companies and their funding sources from inception through acquisition or initial public offering, venture capital finance, private placements, joint ventures, technology licensing, strategic alliances, and mergers and acquisitions. David has been the lead counsel for over $3 billion in venture- and growth-stage equity and debt financings, representing companies and investors across a wide range of industries. He is particularly accomplished in representing strategic investors in making minority investments and in structuring the commercial arrangements that often accompany these types of investments. David is one of the few lawyers in Michigan who has the proficiency and market understanding to form and maintain venture capital and growth equity funds. 2018 – "David Parsigian's broad practice encompasses advising on mergers and acquisitions, venture capital, financing and securities, with notable experience in the technology sector. He is described by a source as 'an outstanding guy who stays well versed in the latest trends, which helps us put forward transactions with a higher level of success.'" 2017 – "[David] has wide-ranging expertise in matters of corporate, financial and securities law. Sources highlight his strong track record in representing technology investors in acquisitions, IPOs and joint ventures. Commentators also describe him as a 'very practical lawyer' who is 'knowledgeable' and 'represents clients well.'" 2016 – "David Parsigian is highly commended by sources for his strategic and practical approach to cases. His practice encompasses a broad range of corporate matters, including public offerings, joint ventures and M&A transactions." 2015 – "The 'very talented' and 'incredibly smart' David Parsigian is a noted expert in venture capital work and enjoys a fine track record acting on behalf of emerging technology companies." 2014 – "[David] is praised for his experience and attention to detail, particularly in the field of venture capital. His practice has a particular emphasis on representing emerging technologies companies with transactional matters." 2013 – "Clients report that 'he is great to work with and very diligent.'" 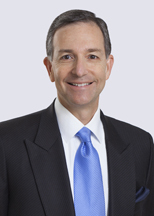 2012 – "David Parsigian is a highly respected attorney who is noted for his expertise in private equity and venture capital matters. He is particularly active in the IT and life sciences industries."